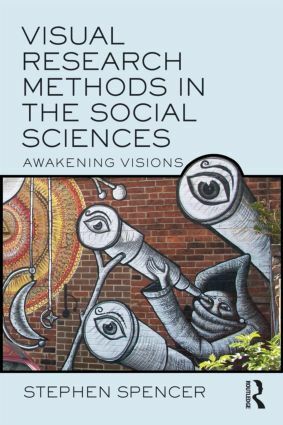 Visual Research Methods is a guide for students, researchers and teachers in the social sciences who wish to explore and actively use a visual dimension in their research. This book offers an integrated approach to doing visual research, showing the potential for building convincing case studies using a mix of visual forms including: archive images, media, maps, objects, buildings, and video interviews. Examples of the visual construction of ‘place’, social identity and trends of analysis are given in the first section of the book, whilst the essays in the second section highlight the astonishing creativity and innovation of four visual researchers. Each detailed example serves as a touchstone of quality and analysis in research, with themes ranging from the ethnography of a Venezuelan cult goddess to the forensic photography of the skeleton of a fourteenth-century nobleman. They give a keen sense of the motives, philosophies and benefits of using visual research methods. This volume will be of practical interest to those embarking on visual research as well as more experienced researchers. Key concerns include the power of images and their changing significance in a world of cross – mediation, techniques of analysis and ethical issues, and how to unlock the potential of visual data for research.